MILWAUKEE (January 8, 2018) – Johnson Controls is pleased to announce that the DSC iotega wireless security and automation solution is adding support for Apple HomeKit, enabling consumers to manage not only their security system but also other home automation abilities using Apple’s Home app or Siri on their iPhone, iPad, and Apple Watch. 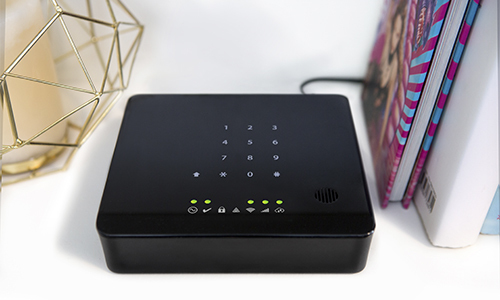 The recently launched iotega system, from DSC, is an intuitive, completely wireless and fully secure system, using encrypted, long-range wireless PowerG sensors, which provides homeowners and small businesses the ultimate in reliable security and home control. From a single app, consumers can seamlessly easily arm and disarm their iotega system as well as perform other home control functions with iotega — turning on HomeKit enabled lights, unlocking doors, setting the thermostat, raising and lowering window shades and more. With support for Z-wave control features as well as Wi-Fi for cameras and touchscreens, iotega offers consumers freedom of choice with a myriad of home control devices. Johnson Controls continues to integrate with existing and new interactive partners to further enable iotega’s home automation capabilities. The iotega / Apple HomeKit integration will be showcased at the Consumer Electronics Show Jan. 7-12 at the Las Vegas Convention Center.